A kicker with accurate micro speed control, catch more fish by dialing in your speed and get your bait to the fish at any speed necessary. 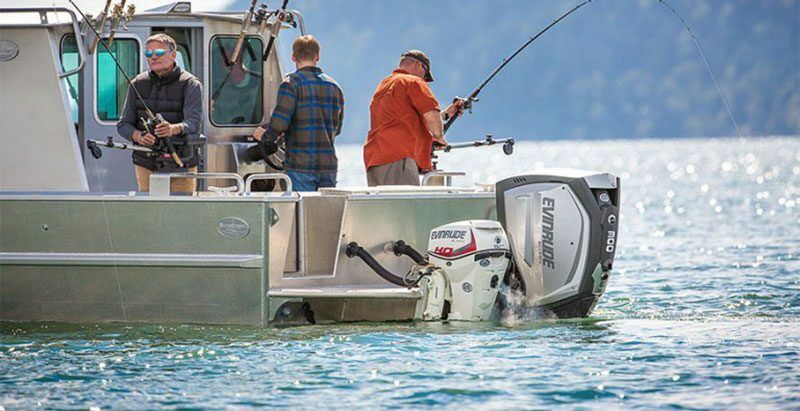 SUPERIOR CONTROL: The only trolling motor that starts with a touch of a button. A kicker with accurate micro speed control, catch more fish by dialing in your speed and get your bait to the fish at any speed necessary. 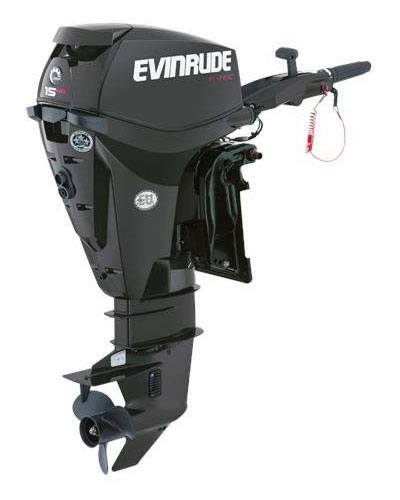 The Evinrude E-TEC 15 H.O. is the only direct injected kicker engine available today. LESS FUEL, MORE PERFORMANCE: The E-TEC technology delivers precisely the right amount of fuel needed directly into the combustion chamber for incredibly smooth, fast response and incredibly low fuel consumption. AUTO-STORAGE: Extend your fishing/boating season. The engine fogs itself automatically in minutes, with no trip to the dealer. So easy, you can do it any time. You’ll be able to go fishing if you get a winter warm spell. And in warmer coastal regions, you have no worries about salt air and corrosion. ADVANCED TILLER: Just a push of the thumb raises or lowers the trim depending on your speed, which provides convenience on the fly. Eliminate all without ever having to reposition your hand.